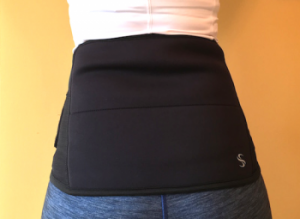 It’s no secret that we made the Recovery Wrap with your entire back in mind, targeting pain from your shoulder blades to your tailbone, but it’s not only people that are recovering from injury that are benefiting AND it’s not only post-activity that we’re seeing. Customers are using this nifty wrap for during-activity icing to delay the onset of fatigue, as well as relief afterwards. 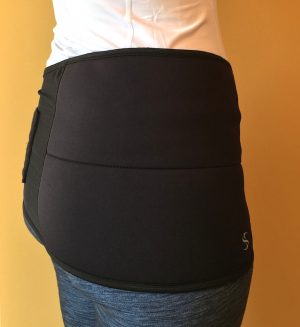 The Recovery Wrap can easily be positioned to target hip joints with ice or heat, even while walking around. Marathon Runner Gretchen Baum takes it to a whole new level and uses the Recovery Wrap in between shorts runs and as a tool to help her recover quickly after marathons. Previously, Gretchen would take time out to sit with icepacks on her hips, now she straps her Wrap on and goes about her day. Liz Kennon is ALSO a marathon runner and organizer for Pittsburgh Sports League. Liz puts a ton of miles on the road and, like Gretchen, ices her lower extremities for post-run recovery, especially her glutes and hamstrings. Liz likes our Recovery Wrap because it’s compact, convenient, and offers the perfect amount of protection between her ice and skin to help recover after a long run. 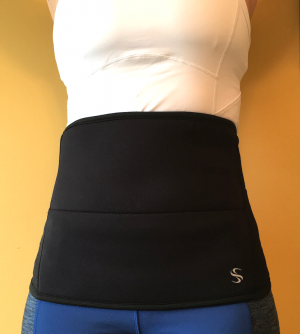 Ladies, listen up: Next time your monthly stomach cramps creep up, use HEAT with the Recovery Wrap to soothe your belly. Vicky Gannon is a full time nanny and student and she’s constantly running around. Watch Vicky try the Recovery Wrap for the first time and see first-hand how it helps ease her stomach pains and cramps. 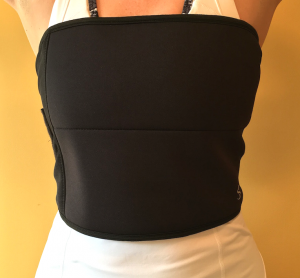 PS: Some customers use the Recovery Wrap post C-section for faster recovery and for the additional compression and support. While we’re on the subject of women pains, breast tenderness is a big issue as a new mama. And what better way to ease the pain and soreness? ICE! Ice is recommended by OBGYNs and lactation consultants as a way to ease breast tenderness, engorgement, mastitis and when used for longer durations aids in stopping milk production. So put away your bag of peas or frozen cabbage leaves and wrap yourselves in our recovery! 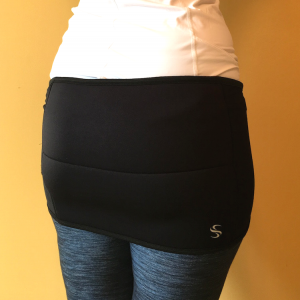 As you can see, our new Recovery Wrap is super versatile, it can become your ‘go-to’ wrap for all life’s aches and pains. We’d love to hear how else YOU use the Recovery Wrap! You’ve gotten remarkable stuff at this point. I ice my knees just about every single long-distance run with an all-original (!!!) Spand-Ice ice pack wrapped in a piece of cloth that I have to hold by hand up-against my knee cap and outside edges of the knee joints while sitting down.